Landing at #6 on the Billboard World Albums Chart with their first mini album ‘Burning Sensation’, SF9 has began making a name for themselves even as FNC Entertainment’s newest rookie boy group. 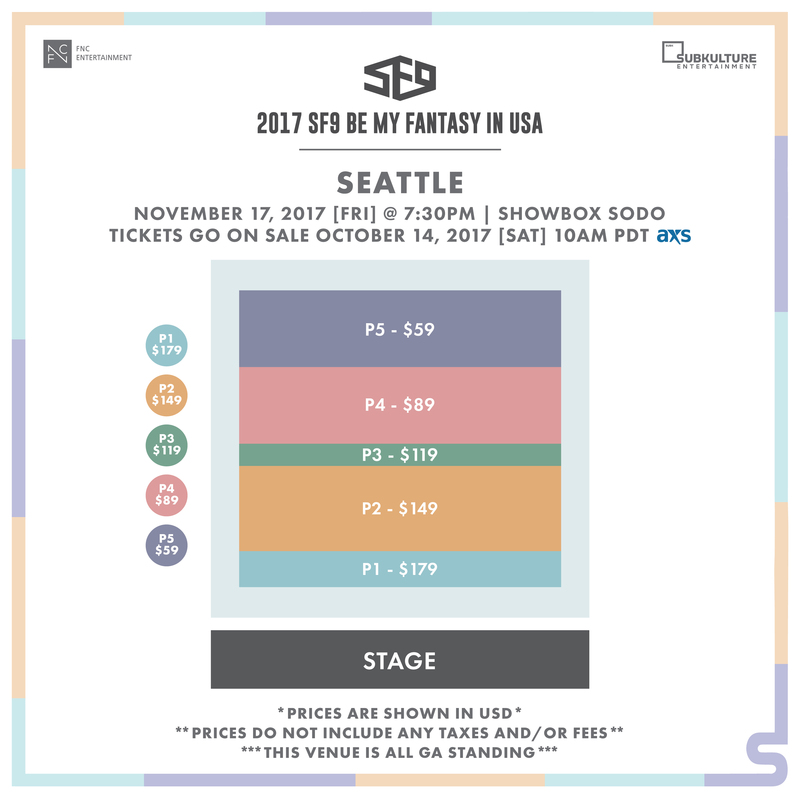 FNC Entertainment and SubKulture Entertainment are excited to present 2017 SF9 BE MY FANTASY IN USA! 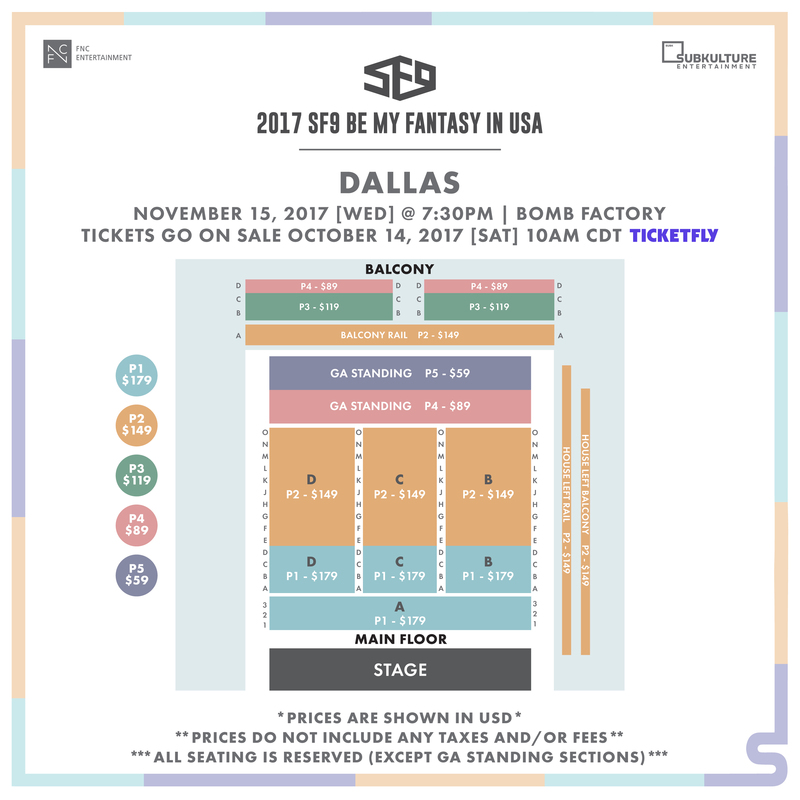 In order to make the fanmeeting a more intimate experience for those in attendance, the group will not only perform some of their most popular tracks but they will also have the opportunity to play games and hold a Q&A session with their fans. The talented rookie group will be making stops in three cities: Dallas, Seattle, and Boston. 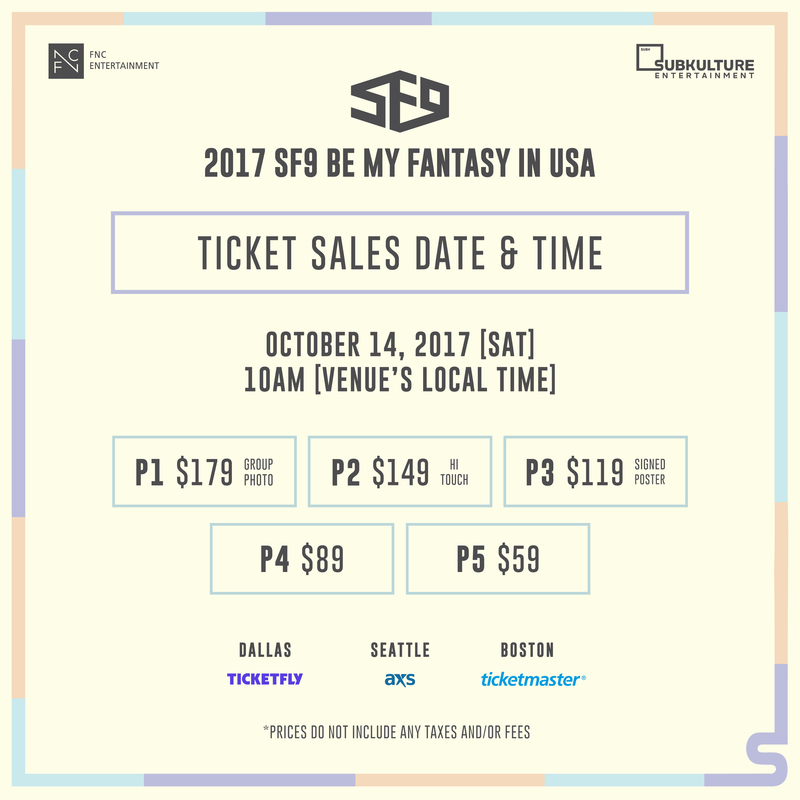 Tickets for the tour will be made available for purchase on Saturday, October 14, 2017 at 10:00AM (venue’s local time). 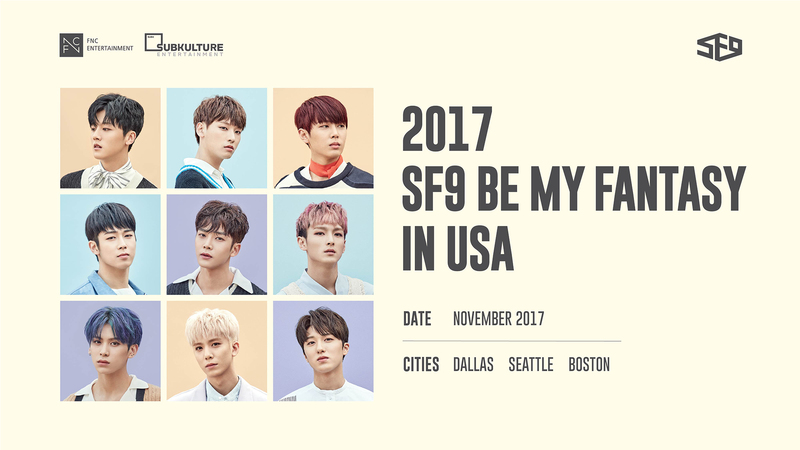 SF9, which stands for Sensational Feeling 9, is a nine-member South Korean boy group under FNC Entertainment. Debuting on October 5, 2016, the group consists of the following members: Youngbin (leader/lead rapper), Inseong (main vocalist), Jaeyoon (lead vocalist), Dawon (lead vocalist), Zuho (main rapper), Rowoon (lead vocalist/visual), Taeyang (main dancer/main vocalist), Hwiyoung (rapper/supporting vocalist), and Chani (vocalist, main dancer, and rapper). SF9 quickly began making a name for themselves as their début album ‘Feeling Sensation’ debuted at 8th place and peaked at 6th place on the Gaon Album Chart. On their 100th day début anniversary, they announced their official fanclub name, dubbing their fans “Fantasy”. Their first mini album ‘Burning Sensation’ was released on February 6, 2017, landing them a spot at #6 on the Billboard World Albums Chart. 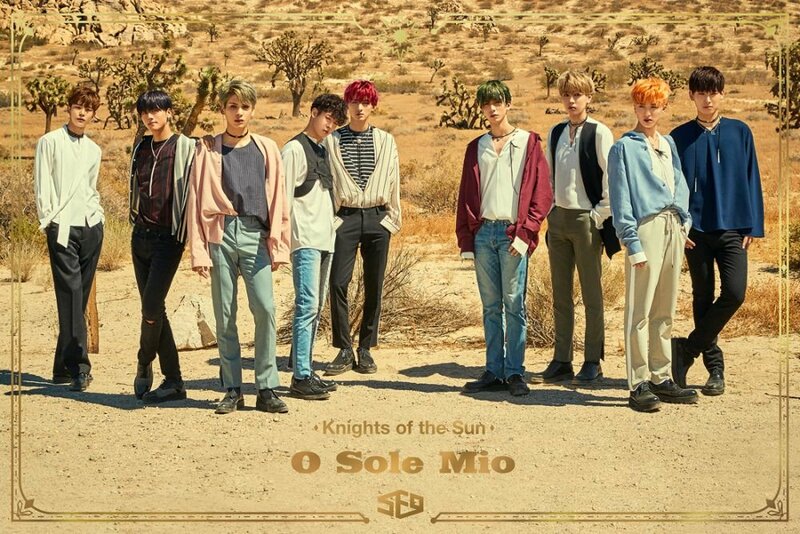 On April 18, 2017, SF9 released their second EP titled ‘Breaking Sensation’ which ranked #2 on the iTunes U.S. K-Pop Album Chart, also having charted within the top five of 14 different countries on the iTunes K-pop Charts. 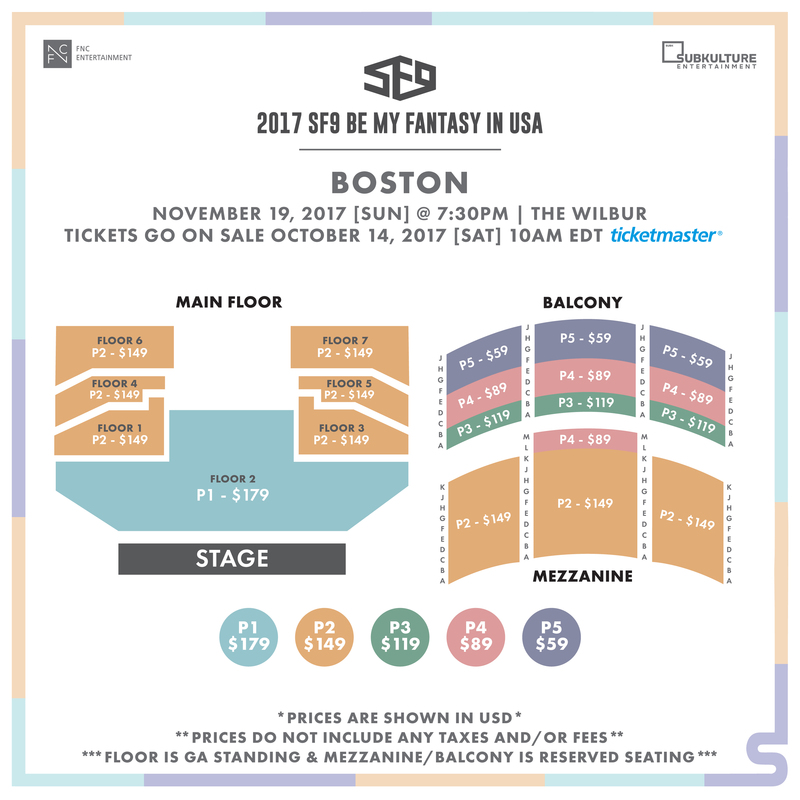 After having recently performed at both KCON NY and KCON LA, they enthusiastically expressed their excitement to be performing in the U.S. for their fans and are thrilled to embark on their very first fanmeet tour in the United States!